I can leave the house with no worries without my foundation or bb cream, concealer, eyeliner and mascara, but I can't leave the house without applying lip balm and doing my eyebrow! They're the most crucial things for me. That's why I have lots of lip balm and eyebrow products. But the difference between the both of them are, I can reapply my lip balm anytime, anywhere, but not my eyebrow. So I like to have a reliable eyebrow product that has long staying power so it won't budge and smear. 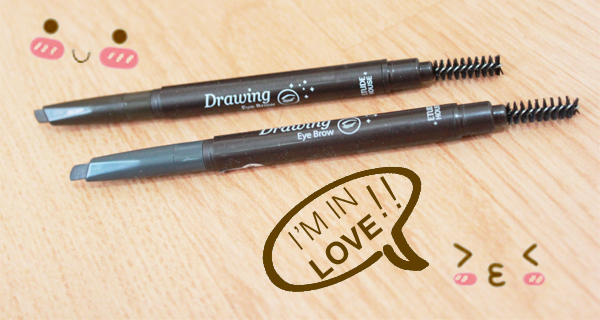 I've been trying out Etude House Drawing Eye Brow AD from Miss Lie Collection. I believe Etude House also sells the refill, so you don't have to buy a new pencil after you've used up the product :). I also have similar product like this, which is the Lioele Auto Eyebrow, it is also dual-ended, with spoolie on the other end. I got two shades for myself, the #1 Dark Brown and #4 Dark Grey just in case... Because I just dyed my hair to black two weeks ago, and it was an impulse action because I also love me in brown. So if I had to dyed my hair back to brown, then I have another spare of brown eyebrow pencils. But I like to mix them together, I apply the brown color in the inner part of my eyebrows and the grey one in the outer part of my eyebrows, applying darker color on the outer part of your eyebrows will give more dimension. 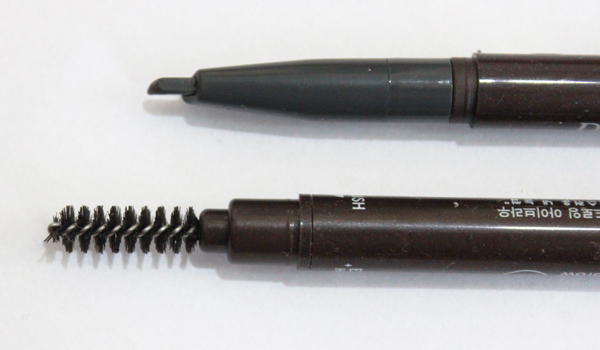 I love my Lioele Auto Eyebrow, because I don't have to sharpen it like the traditional eyebrow pencil. But there are some difference between Lioele Auto Eyebrow and Etude House Drawing Eye Brow, the Lioele one is a lot more stiff than the Etude House, so you have to press a bit hard to draw, but with the Etude House you can just draw lightly and the color will show up. 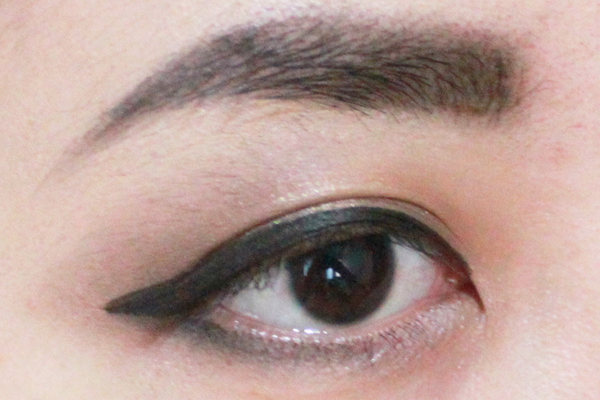 And with the Etude House I can experiment with light and darker colors using the same shade, the color is so buildable! Etude House has more variety of shades while the Lioele only provides 3 shades at higher price. It's one of the reasons why I love trying out new products, you'll never know that there are so many products which are whole lot better than the ones you own! I used to think that my Lioele is great, but when I tried these ones, I feel like the Lioele is harder to use, because the Etude House Eyebrow is a lot softer. The only downside is its a bit chalky, so keep it mind to draw it lightly and not press to hard, plus this way will make sure that the product has been distributed smoothly. 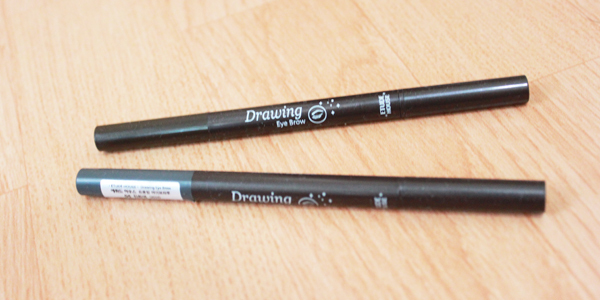 You can draw thin or thick lines, depending on how you hold the pencil. 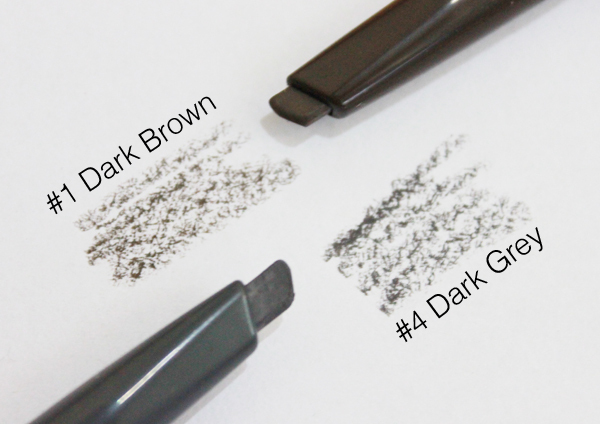 If you have dark hair, choose lighter shade for your eyebrow pencil, but if you have light hair, choose darker shade. Recommended if you want to try out new eyebrow pencil, or if you're new to makeup because this product is really easy to use, you only have to rotate the pencil not sharpen it and it has spoolie on the other end, so you don't have to buy separated spoolie brush. Basically I recommend this product to everyone! If you haven't tried this product, go try it and you won't be disappointed! I was actually so disappointed with this eyebrow pencil :( I don't usually dislike Etude House product. This is one of my favorite (and I've been using it by now) since my eyebrow are so thin, I think this is the most natural eyebrow pencil (or whatever it is) I've try so far.